The second important jetty for backwater houseboats is situated just off Lake Vembanad at Kumarakom on the eastern side of the lake. This is an ideal location for joining a boat if you are staying in one of the nearby hotels or if you have travelled further afield from Munnar or Periyar. 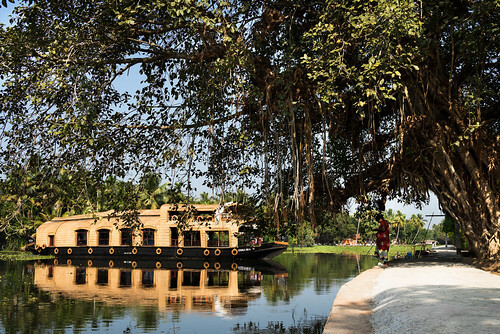 It is just as easy to get to from Cochin as Alappuzha. Lovely 2 cabin gold star houseboat with private upper deck and ensuite air conditioned cabins below. Provided by local cooperative so lots of local colour and things to see.